The invasive New Zealand mud snail may be hitchhiking on your field gear! The New Zealand mud snail (Potamopyrgus antipodarum) is spreading in the Pacific Northwest. This highly invasive species is invading new waterbodies, and may be getting help from field researchers who unwittingly carry it to new streams and rivers on their gear. The 12th annual Eastern Washington/North Idaho Regional Lake Conference, with presentations around the theme of Lake and Watershed Management at the Local Level, was held February 9th at Spokane Community College. Dennis DeMattia from Deer Lake Property Owners Association welcomed attendees at the event’s kickoff, noting that regional lake conferences have been instrumental in providing his group access to lake management experts who have helped implement management and protection decisions at Deer Lake. Mark your calendars now for October 16-18, 2013! 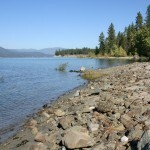 That’s the date set for the annual conference of the Washington State Lake Protection Association (WALPA) and the Oregon Lakes Association (OLA), whose theme, appropriately, is Collaborative Lake Management. 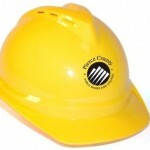 Get the word out to your target audience! Waterline, the quarterly newsletter of the Washington State Lake Protection Association (WALPA), accepts advertising from companies that sell lake-related and/or environmentally-friendly services or products. Ads can run once or annually (the annual rate is discounted 20%). Congratulations to Pierce County’s Public Works and Utilities Surface Water Management Division, which recently won a national environmental award for its Raise the Grade stream health and stormwater technical assistance programs. The National Association of Clean Water Agencies presented its 2013 National Environmental Achievement Award for Innovation in Operations to the agency. Invasive Plant Control, Inc. and the University of Georgia’s Center for Invasive Species and Ecosystem Health have teamed up to offer a free webinar series about managing invasive plants. The series is ongoing with talks changing monthly, so check back frequently to hear new talks. The Washington State Lake Protection Association is pleased to announce its 2013 competition for student scholarships. 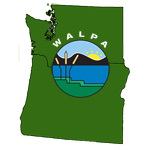 Two scholarships, the Nancy Weller Memorial Scholarship ($1000) and the WALPA Student Scholarship ($750), will be awarded to further our understanding of the limnology, hydrology, ecology, and management or restoration of lakes and watersheds in Washington or Idaho. Students must be part or full time undergraduate or graduate students at an accredited college or university in Washington or Idaho. 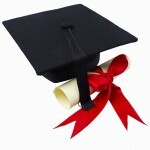 Recipients shall use scholarship funds to cover education and/or research expenses directly related to their research.